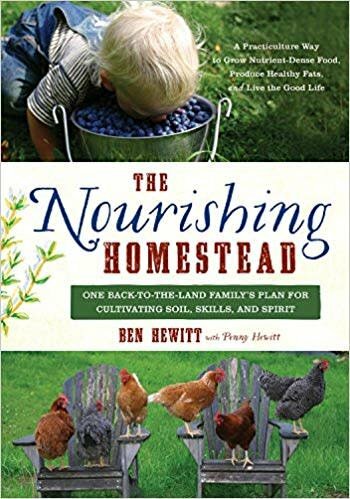 Ben and Penny Hewitt offer practical ways to grow nutrient-dense, nourishing food on a small plot of land, and will encourage people to think about their farm, homestead, or home as an ecosystem. The Hewitts maintain copious gardens, dozens of fruit and nut trees and other perennial plantings, as well as a pick-your-own blueberry patch. In addition to these cultivated food crops, they also forage for wild edibles, process their own meat, make their own butter, and ferment, dry, and can their own vegetables. Their focus is to produce nutrient-dense foods from vibrant, mineralized soils for themselves and their immediate community and to share the traditional skills that help their family be self-sufficient and thrive. Ben uses the term “practiculture” to describe his family’s work with the land―a term that encompasses the many practical life skills and philosophies they embody to create a thriving homestead, including raw-milk production, soil remediation, wildcrafting, Weston A. Price principles, bionutrient-dense farming, permaculture, agroforestry, traditional Vermont hill farming, and more.